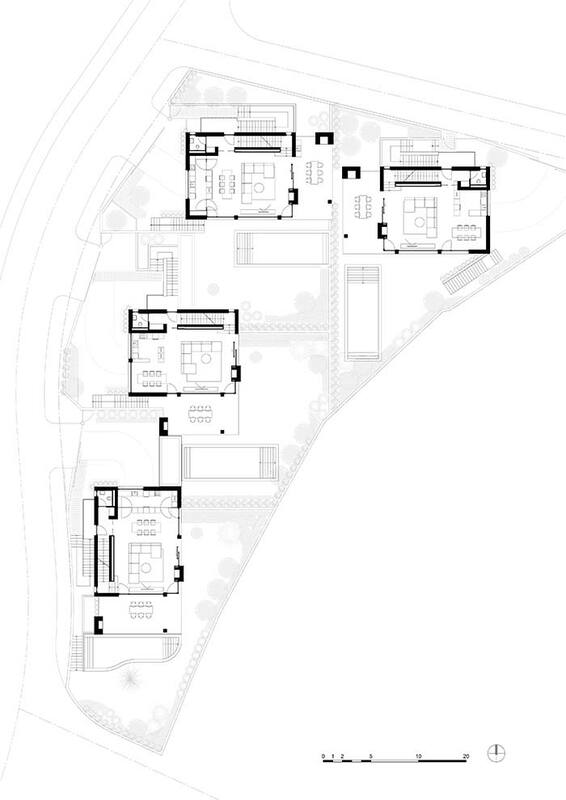 The residential development includes four family houses in attached building composition. The main idea behind the master-planning and functional zoning of the development is that all houses have small individual transitional spaces on their street side to provide vehicular and pedestrian access and a larger inner space – a visually spacious inner yard in the south-east side of the plot. 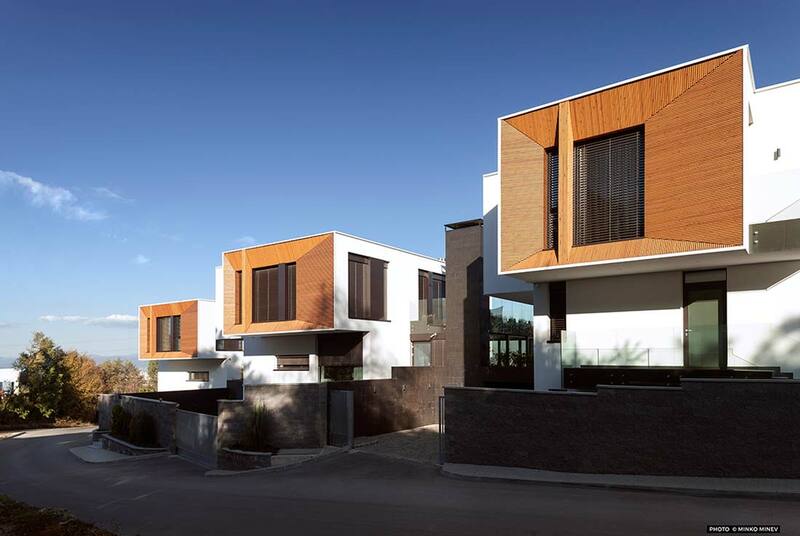 The buildings – connected in a spatially vibrating chain of volumes, displaced both horizontally and vertically – naturally provide a barrier to the street noise and enclose a spacious landscaped yard, which is open in the direction of the mountain and the better light – east and south. 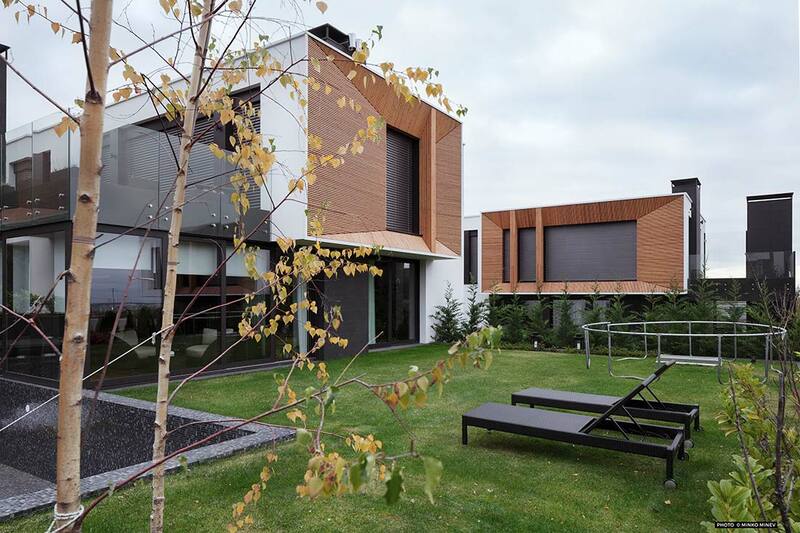 The individual yards are divided by implementation of low-height evergreen vegetation, which provides intimacy without affecting the sense of presence of a vast garden in-between the houses. The architectural image of the buildings is purposefully laconic. The facades are defined in two materials, unambiguously expressing the house function – white plaster and wooden wall-cladding. Like an echo from the internal functionality, they place the houses in the aimed niche of modest, unpretentious and at the same time warm residential architecture.